Client comments about our visit to quote. January Cleaning: Start Your Year With A Sparkle! Is your muddy bike slowly ruining your carpets and rugs? Are you taking part in Stoptober? Oh Oh! I've got Lily Pollen on my lovely carpet! 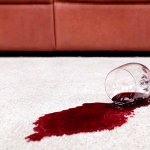 Can you clean soot out of carpets? How do I get red wine out of my sofa? Carpet Cleaner Doncaster Review by Mrs Kenny of Fishlake. Carpet Cleaning Doncaster Review by Mrs Wilson of Dunscroft. Carpet Cleaner Doncaster Review by Mr & Mrs Green of Sprotbrough. Rug Cleaner Doncaster Review by Mrs Holbrook of Bessacarr. Upholstery Cleaning Doncaster Review by Mrs Coote of Bessacarr. Carpet Cleaning Doncaster Review by Mrs Eyre of Edlington. Carpet Cleaner Doncaster Review by Mrs Rush of Tickhill. Carpet Cleaning Doncaster Review by Mrs Brown of Bawtry. Upholstery Cleaner Doncaster Review by Mrs Dawes of Bawtry. Carpet Cleaning Doncaster Review by Mrs Leivers of Wheatley Hills. Carpet Cleaning Doncaster Review by Mrs Howarth of Scawthorpe. Carpet Cleaning Doncaster Review by Mrs Kearns of Warmsworth. Upholstery Cleaning Doncaster Review by Mrs O'Neill of Skellow. Carpet Cleaner Doncaster Review by Mrs Sains of Sprotbrough. Carpet Cleaning Doncaster Review by Mrs Mellstrom of Finningley. Carpet Cleaner Doncaster Review by Mrs Lister of Hatfield. Upholstery Cleaning Doncaster Review by Mr Pears of Armthorpe. Carpet Cleaner Doncaster Review by Mr Mawer of Dunscroft. Carpet Cleaning Doncaster Review by Mrs Lowndes of Armthorpe. Upholstery Cleaner Doncaster Review by Mr Ashmore of Cusworth. Upholstery Cleaning Doncaster Review by Mr Allen of Tickhill. Carpet Cleaning Doncaster Review by Mr Alexander of Edlington. Upholstery Cleaning Doncaster Review by Mr Richardson of Cantley. Leather Upholstery Cleaner Doncaster Review by Mrs Harrington of Thorne. Upholstery Cleaning Doncaster Review by Miss Adams of Bessacarr. Carpet Cleaning Doncaster Review by Mrs Adnerson of Bessacarr. Carpet Cleaning Doncaster Review by Mrs Powell of Hatfield. Upholstery Cleaner Doncaster Review by Mrs Craven of Bessacarr. Carpet Cleaning Doncaster Review by Mrs Butterfield of Armthorpe. Upholstery Cleaning Doncaster Review by Mr Clements of Dunsville. Carpet Cleaning Doncaster Review by Mr Unwin of Armthorpe. Carpet Cleaning Doncaster Review by Mrs Matthews of Belle Vue. Upholstery Cleaner Doncaster Review by Mrs Nowell of Hickleton. Upholstery Cleaning Doncaster Review by Mrs Grocock of Cantley Grange. Carpet Cleaner Doncaster Review by Mrs Hibberd of Edlington. Upholstery Cleaning Doncaster Review by Mrs King of Scawsby. Carpet Cleaner Doncaster Review by Mr Grogor of Rossington. Rug Cleaner Doncaster Review by Mr Deakin of Conisbrough. Upholstery Cleaning Doncaster Review by Mrs Newton of Sprotbrough. Carpet Cleaning Doncaster Review by Mrs McAndrew of New Rossington. Upholstery Cleaner Doncaster Review by Mrs Mawer of Dunscroft. Upholstery Cleaning Doncaster Review by Mr Beckwith of Wheatley Hills. Carpet Cleaning Doncaster Review by Mrs Hardyman of Barnburgh. Upholstery Cleaner Doncaster Review by Mrs Lister of Bessacarr. Carpet Cleaner Doncaster Review by Mr Long of Wheatley Hills. Carpet Cleaning Doncaster Review by Mrs Neill of Wheatley Hills. Carpet Cleaner Doncaster Review by Mrs Carmichael of Bennetthorpe. Carpet Cleaner Doncaster Review by Mrs Brown of Rossington. Upholstery Cleaning Doncaster Review by Mrs Garnett of Thorne. Carpet Cleaning Doncaster Review by Mrs Proctor of Warmsworth. Upholstery Cleaner Doncaster Review by Mrs Bell of Balby. Rug Cleaner Doncaster Review by Mrs Kenyon of Barnby Dun. Carpet Cleaning Doncaster Review by Mrs Inston of Bessacarr. Carpet Cleaning Doncaster Review by Mr Slingsby of Rossington. Upholstery Cleaning Doncaster Review by Mrs McKechnie of Blaxton. Upholstery Cleaner Doncaster Review by Mrs Roberts of Branton. Carpet Cleaning Doncaster Review by Mrs Winwood of Branton. Upholstery Cleaner Doncaster Review by Miss Cobb of Wheatley. Carpet Cleaning Doncaster Review by Mr Glover of Edlington. Upholstery Cleaner Doncaster Review by Mrs Ridgill of Thorne. Carpet Cleaning Doncaster Review by Mrs Saxon of Intake. Carpet Cleaner Doncaster Review by Mrs Wood of Edenthorpe. Upholstery Cleaner Doncaster Review by Mr South of Wheatley Hills. Carpet Cleaning Doncaster Review by Mrs Richards of Hatfield. Leather Sofa Cleaning Doncaster Review by Mrs Smith of Armthorpe. Upholstery Cleaning Doncaster Review by Mrs Mills of Auckley. Carpet Cleaning Doncaster Review by Mrs Malam of Moorends. Carpet Cleaning Doncaster Review by Mrs Ackroyd of Bessacarr. Upholstery Cleaning Doncaster Review by Mr Osbon of Bessacarr. Carpet Cleaning Doncaster Review by Mr Young of Rossington. Carpet Cleaning Doncaster Review by Mrs Pidcock of Finningley. Leather Furniture Cleaner Doncaster Review by Mrs Groom of Barnby Dun. Carpet Cleaner Doncaster Review by Mrs Wright of Hatfield. Carpet Cleaner Doncaster Review by Mrs Barton of Tickhill. Carpet Cleaner Doncaster Review by Mr Richard-Newton of Hatfield. Carpet Cleaning Doncaster Review by Mr Coy of Thorne. Upholstery Cleaner Doncaster Review by Mrs Coney of Campsall. Upholstery Cleaner Doncaster Review by Mr Buckton of Bessacarr. Carpet Cleaner Doncaster Review by Mr Freeman of Wheatley. Carpet Cleaning Doncaster Review by Miss Wood of Thorne. Carpet Cleaner Doncaster Review by Mrs Pritchard of Tickhill. Carpet Cleaner Doncaster Review by Mrs Alexander of Harworth. Carpet Cleaning Doncaster Review by Mrs O'Hagan of Sprotbrough. Carpet & Upholstery Cleaner Doncaster Review by Mrs Johnson of Edenthorpe. Carpet Cleaning Review by Mr Wilson of Bessacarr, Doncaster. Carpet Cleaning Review by Mrs Bateman of Doncaster. Carpet Cleaning Review by Mrs Edmunds of Wadworth, Doncaster. Upholstery Cleaner Review by Mrs Stockdale of Scawsby, Doncaster. Carpet Cleaner Review by Mr Lewis of Armthorpe, Doncaster. Carpet Cleaning Review by Mr Murphy of Armthorpe, Doncaster. Upholstery Cleaning Review by Mr Mackland of Sprotbrough, Doncaster. Carpet Cleaner Review by Mr Hand of Sprotbrough, Doncaster. Carpet Cleaner Review by Miss Devonshire of Branton, Doncaster. Carpet Cleaner Review by Mrs Pogmore of York Road, Doncaster. Carpet Cleaning Review by Mrs Barker of Armthorpe, Doncaster. Carpet Cleaning Review by Mrs Goffin of Bessacarr, Doncaster. Carpet Cleaning Review by Mrs Higgins of Rossington, Doncaster. Carpet Cleaning Review by Mrs Smith of Bessacarr, Doncaster. Carpet Cleaning Review by Mrs Deakin of Doncaster. Upholstery Cleaning Review by Mrs Walker of Tickhill, Doncaster. Carpet Cleaning Review by Mrs Priestly of Bessacarr, Doncaster. Furniture Cleaning Review by Mrs Nelson of Wheatley Park, Doncaster. Sofa Cleaning Review by Mr Huggins of Dunscroft, Doncaster. Upholstery Cleaning Review by Mrs Vale of Campsall, Doncaster. Carpet Cleaning Review by Mrs Pigg of Campsall, Doncaster. Carpet Cleaning Review by Mrs Birchall of Wadworth, Doncaster. Carpet Cleaning Review by Mrs Parry of Scawthorpe, Doncaster. Carpet Cleaning Review by Mrs Theyers of Bessacarr, Doncaster. Carpet Cleaning Review by Mrs Jakes of Austerfield, Doncaster. Carpet Cleaning Review by Mr Mistry of Edenthorpe, Doncaster. Carpet Cleaning Review by Mr Taylor of Armthorpe, Doncaster. Carpet Cleaning Review by Mrs Warnes of Wheatley Hills, Doncaster. Carpet Cleaning Review by Mrs Crampton of Cantley, Doncaster. Carpet Cleaning Review by Mrs Crehan of Campsall, Doncaster. Carpet Cleaning Review by Mr May of Doncaster. Carpet Cleaning Review by Mrs Hall of Sprotbrough, Doncaster. Upholstery Cleaning Review by Mrs Roberts of Campsall, Doncaster. Carpet Cleaning Review by Mr Fowler of Armthorpe, Doncaster. Carpet Cleaning Review by Mrs Thompson of Intake, Doncaster. Upholstery Cleaning Review by Mrs Powell of Warmsworth, Doncaster. Carpet Cleaning Review by Mrs Fletcher of Bessacarr, Doncaster. Carpet Cleaning Review by Miss Hill of Tickhill, Doncaster. Carpet Cleaner Review by Mrs Neil of Dunsville, Doncaster. Carpet Cleaning Review by Mrs Barnes of Armthorpe, Doncaster. Carpet Cleaning Review by Mrs Blank of Sprotbrough, Doncaster. Carpet Cleaning Review by Mrs Mayes of Barnby Dun, Doncaster. Upholstery Cleaning Review by Mrs Jobburns of Armthorpe, Doncaster. Carpet Cleaning Review by Mrs Brown of New Rossington, Doncaster. Carpet Cleaner Review by Mr Sproston of Conisbrough, Doncaster. Carpet Cleaning Review by Mrs Greeves of Tickhill, Doncaster. Upholstery Cleaning Review by Mrs Lavin of Bircoates, Doncaster. Furniture Cleaning Review by Mrs Grice of Hatfield Woodhouse, Doncaster. Sofa Cleaning Review by Mrs Dodds of Finningley, Doncaster. Carpet Cleaning Review by Mrs Rogerson of Bessacarr, Doncaster. Carpet Cleaning Review by Mrs Pickersgill of Thorne, Doncaster. Upholstery Cleaning Review by Mrs Wrigglesworth of Blaxton, Doncaster. Sofa Cleaning Review by Mrs Langford of Conisbrough, Doncaster. Furnishing Cleaning Review by Mrs Hewitt of Edenthorpe, Doncaster. Upholstery Cleaning Review by Mrs Bolton of Rossington, Doncaster. Carpet Cleaning Review by Mrs Barber of Norton, Doncaster. Carpet Cleaning Review by Mrs Addy of Barnburgh, Doncaster. Leather Cleaning Review by Mr Gaskell of Wheatley, Doncaster. Carpet Cleaning Review by Mr Haywood of Barnby Dun, Doncaster. Mrs Newman said "I always have Clean and Dry…"
"A regular customer for ten years – need I say more?" " If you want good reliable friendly service then Clean and Dry is the company to phone." "Very pleased with the service…"
"Very inpressed by politeness and friendliness…"
"We always have you to clean our carpets." "I wish others would follow you as a company which is of the highest standards." "I think your service is 100% tip top in every way." "Excellent service, shame so few companies work to such standards of customer care." "I have used Clean and Dry every year for the past 6 years. The service and results are second to none." "Couldn't fault the service from start to finish and was thrilled with the end result. Had my faith restored in customer service!" "1st class job done in cleaning carpets and suite. Highly recommend." "My carpets look as if they were brand new." "Excellent service, the technician was very helpful, polite & top worker. Lovely finish and a very polite young man. Thank you Wayne." "Very thorough cleaning, everything explained in a professional manner. Fully satisfied." "We have had the service before with excellent results." "I also like how products are not forced upon you." "Courteous, friendly & quality for what we paid." "Service we would always like to get." "Consistent good service over many years." "My suite came up looking like new." "Excellent service. No problems at all." "I have used Clean and Dry now on many occasions…"
"Always satisfied with the service." "The service from the initial phone call to the carpet cleaning could not have been better." "Nice to have a family concern still in business who do a good job and treat customers as friends." "I always have complete confidence in using Doncaster Clean and Dry…"
"The serviceman was very considerate…"
"I think the service was excellent…"
"A good job well done…"
"… efficiently and without fuss." "I can always rely on good services and great people to do an excellent job!" "We have (mistakenly) tried another firm but they did not live up to your standard!" "Lovely clean – Dried quickly and made the carpets look as good as new." "Very helpful, friendly and competent service. Thank you." "Excellent service, brilliant results, friendly serviceman, highly recommended." "These are tradesman you can trust in your home." "Wayne worked quietly & efficiently…"
"We only use Clean and Dry after previous results." "The service was excellent, prompt and efficient…"
"Cleaned for us on several occasions and we have always been well satisfied." "Servicemen always courteous and friendly – great work." "I have always chosen you to clean my carpet…"
"I have been extremely satisfied with your work and service on previous occasions." "Carpets as good as new. Excellent service throughout." "Prompt and efficient service. Excellent job. Very efficient." "Very satisfied – the colour came back in our carpets!" "We have recommended you to family & friends and will carry on to do so. You're the best." "The carpet came up looking like new." "The carpets throughout the house were cleaned to perfection." "Very good work at competative prices." "Always pleased with your work." "No fuss, no bother just a very good job." "Very satisfied customer for 20 years! 20 years of complete satisfaction." "Satisfied with the service. Pleased, very good." "Many thanks brilliant job. No excuse for a new suite now." "Just keep doing what you are doing and everyone will be happy with the service and the results. Fantastic job done." "Matthew is a credit to your company. I have used you before with positive results." "Excellent service, not a lot of room for improvement." "Excellent service, your employee Pete was polite, efficient and got on with the job." "Fantastic service as usual. Recommended to me by a neighbour in the first instance and now I choose you from my own experience!" "Been out to us previously – Job well done." "Very efficient work done to a very satisfactory standard." "I was pleased with the efficiency and results of my carpets being cleaned, would definitely recommend." "Peter came to clean my carpet. He is a lovely man and did an excellent job. Five star work." "Brilliant all round service – How nice to say that about a company." "A good service at a good price." "Aunty and Neighbour had used you recently." Looking for something to do on New Years Day?